Wasswa Ziritwawula resigned as a member of the National Resistance Council, the then equivalent of Parliament, in 1989. 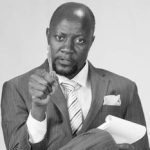 Ziritwawula’s gesture remains one of the few instances of a public servant resigning on principle in modern Ugandan history. 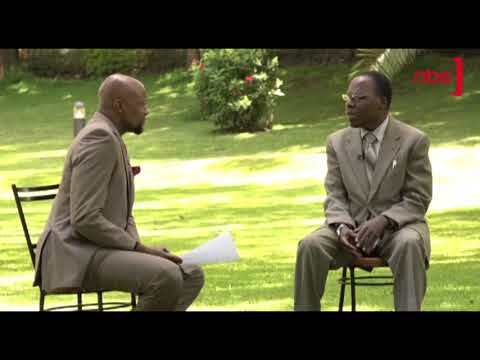 NBS TV’s Samson Kasumba met the Ziritwawula to relive that historic moment and his years of public service. Samson: You have had changing political faces, are you still NRM or are you DP? Ziritwawula: That’s the perception of people but I have never changed faces. I have been DP from the beginning only that when NRM came to power it introduced the movement system which we all joined and worked together until when political parties where reintroduced, and that is when we… you know separated but all of us were working under the movement system at that time. Samson: So you were not part of NRM the party but just inside the movement like everybody including (then DP President) Ssemogerere? You are most known for that 1989 NRM walk out where you opposed the Museveni rule extension…do you remember the incident? Ziritwawula: When it comes to around September 1989 a bill was introduced in parliament for the extension and I found I was not comfortable with it so I participated in the discussion and I opposed the extension. But when the extension was made I decided to leave parliament and that’s what happened. Samson: Were you the only one who opposed this? Ziritwawula: Laughs no…many people opposed especially those from the opposition from DP and UPC and other you know parties but what happened was that at the end of the day after the discussion many decided to remain in government but as for me I said that I was elected to serve for certain period and that period is over and it’s not my mandate to renew my term of office. Samson: Do you regret it? Samson: After the rolling of years have some come back to you saying you were right and they were wrong? Samson: Any significant names who have come back to you to say you were right and they were wrong? Samson: You have been mayor and chair central division seen a few things in the process, talk to us about your days in KCC. Ziritwawula: By the time we took over management of Kampala City Council it was in a total mess. There was a lot of garbage, the roads were very bad…they were collecting very little revenue. In a short time I am happy to say that we managed to prop up Kampala City Council and by the time I left… though I served there for only two years it had started coming up. Samson: Do you think that Kampala is better now than it was then? Ziritwawula: I can’t say it is better now. Samson: Yes they can do more but do you think that the developments we see now around the city like giving away parks to development are good or are they regrettable? Ziritwawula: Off course we lament some of those excesses because as you say we had public parks. We had this one near Sheraton hotel that has gone. Independence Park, that one is gone. 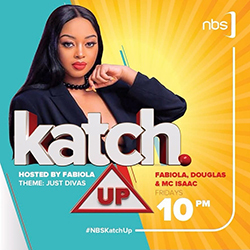 We had this one at Kamwokya. We had been planning to develop it into a children’s park. It’s now filled with buildings. Samson: Do you think this can be reversed? Ziritwawula: How? Because some of the buildings you are not going to pull down. I think they can concentrate on identifying other open spaces which are not built yet and… (he emphasizes) reserve them for such facilities recreation and all. Samson: Talk to us about the pressure of being a public servant, it must be a very difficult job? Ziritwawula: It is, it is because you know especially you get pressures from above. People in the central government. Samson: You get phone calls…? Samson: Did you get one from the president in your term of office, or you would you not want to say so? Ziritwawula: Not concerning pressure. I never got any phone call from the president pressurizing me to do something. But from ministers I used to get a lot. Samson: People wanting to grab things? Ziritwawula: Off course…I remember I was in city council when a certain minister called me and he wanted me to allocate about twenty plots to big people in government and he didn’t want me pass it through the council to get a council resolution. He wanted me as mayor to authorize that and I said no. Ziritwawula: Laughs fortunately in my administration I never got that? Samson: Do you think DP will be here another twenty thirty years? Ziritwawula: I do not see any reason why it shouldn’t be here only that we have to keep on improving the administrative skills in in the party. We used to have the calibre of Paul Ssemogerere, Ssebana Kizito, Joseph Mulenga, the late Byanyima (exclaims) ah, ah, ah Kisamba Mugerwa was there one time, Miria Mutagamba. You know that calibre of people. They were really supportive for the development of the party. Samson: Are you suggesting that the caliber of persons DP has are more light weight compared to those DP had back in those days? Samson: You seem to be suggesting so? Samson: Why do you think our politics that started off with the Ben Kiwanuka’s, the Abu Kakyama Mayanjas, the Milton Obote’s ,the Yoweri Musevenis, the Boniface Byanyimas, has failed to reproduce that class of politicians? Samson: If you met God and he gave you a chance to do one thing you have not done yet, but you would have loved to do…what would it be? Samson: Have you ever thought about being Uganda’s president even in your wildest dreams? Samson: What do you do now?